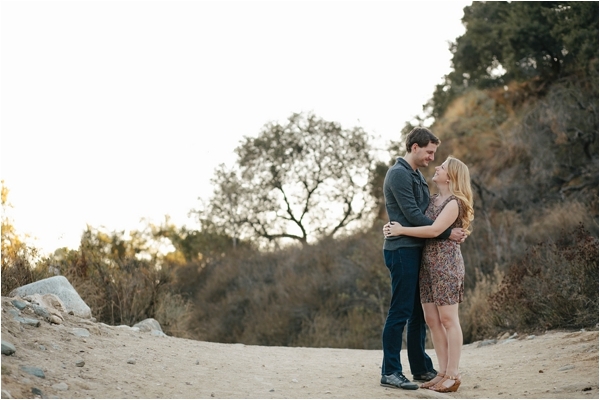 What an adorable Southern California engagement session from Brittanee Taylor Photography! 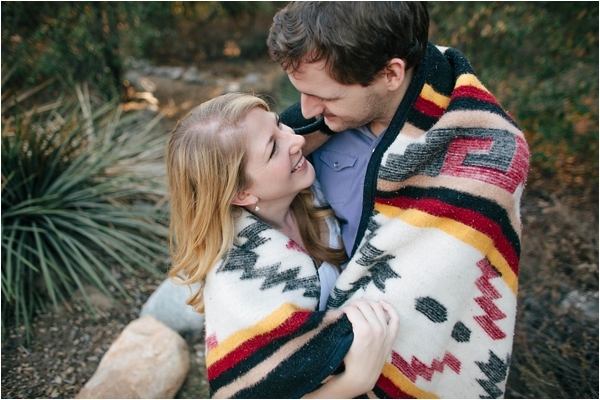 I love the outdoor location and the use of the blanket. 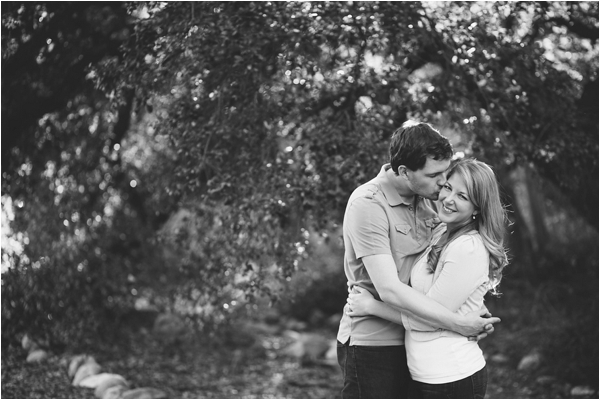 Thank you for sharing, Brittanee! 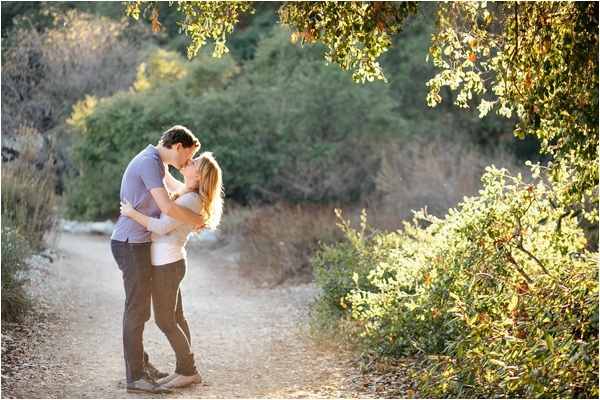 From the couple: We met Brittanee at Eaton Canyon based on Brittanee’s recommendation. 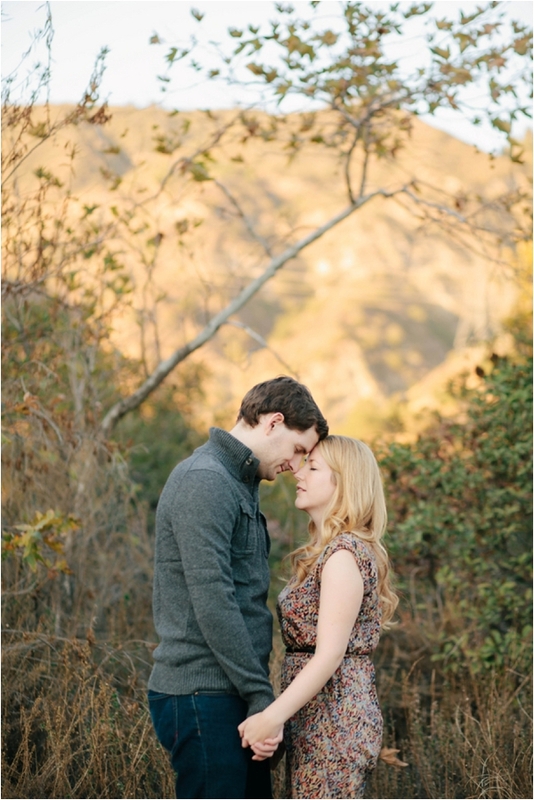 We wanted to do our shoot outdoors and Eaton Canyon is full of nature trails. Immediately upon meeting Brittanee, we knew we were going to have a fun time—she immediately put us at ease and started cracking jokes. 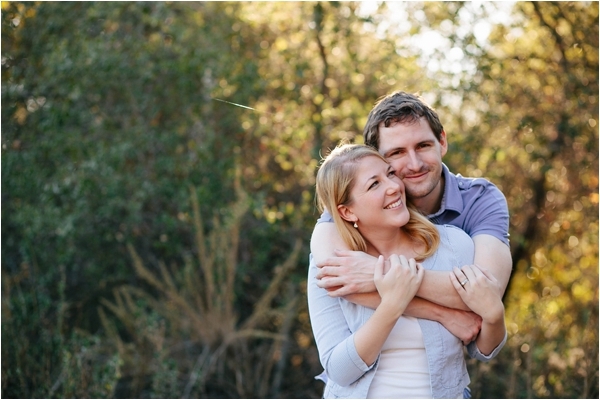 I love the way that she captured the late afternoon light and encouraged us to be goofy. 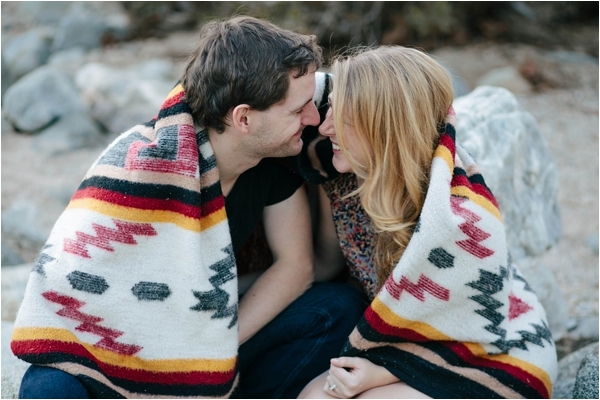 Roman and I always travel with beach blankets in our car and we realized mid-way through the session that we were using the blanket on which Roman had proposed. 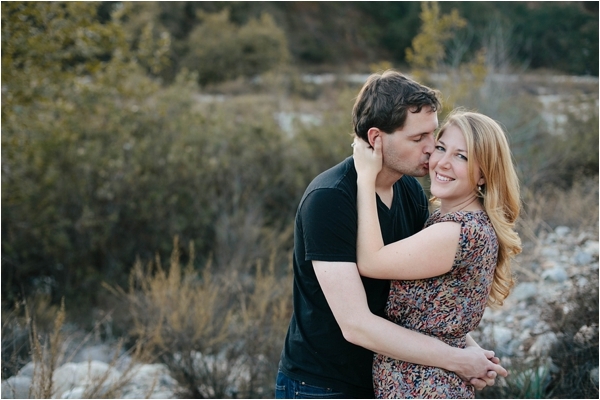 Those photos are definitely my favorites from our session! 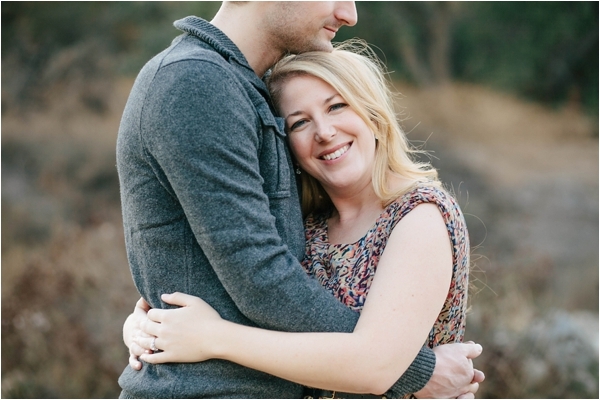 Their love story: Roman and I met five years ago on New Years Eve. We met at a small house party in Pennsylvania that neither of us wanted to go to (for me because it was at a friend's house which was far away and difficult to get to and Roman--who is from Berlin, Germany-- because he was in the country for what he thought would be his last year and he and his friend had also been invited to a massive club party in DC). Just before the party I was complaining that there was no one for me to hit it off with and my friends said that someone was bringing his "international friend" and that that was perfect for me since I love living abroad and traveling. I lamented that there was no point since "International friend" would just go back to his international country and that'd be that. I answered the door when they arrived though, saw him, and went and put on eye makeup. After New Years I found him on Facebook and we messaged back and forth. Roman was still on the East Coast so he suggested he come to visit me in Brooklyn. We had our first date at MOMA and at a small restaurant in Brooklyn. A few weeks later I left the US for Venice to do an internship at the Peggy Guggenheim Collection and then we were really long distance. Still, we talked via Facebook, text message and Skype almost daily--I had to go to an internet cafe, order a glass of wine and hole up in the upstairs of a bar until it got too crowded to hear him over the din. 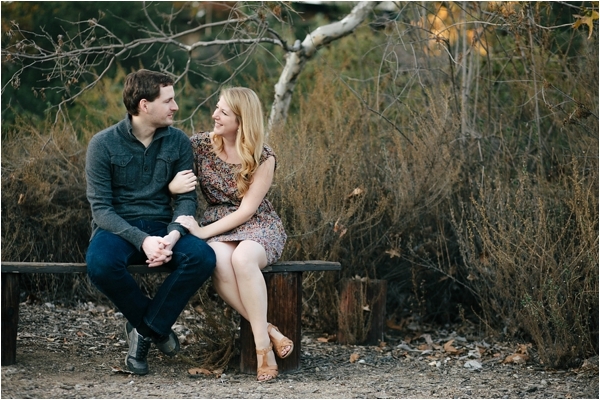 Four months later I returned from Venice and flew out to see him in Tucson where he was finishing his Masters. We had gotten to know each other so well via skype and messaging that it seemed insane that we weren't in the same city. Roman kept saying that I should just seek a teaching job in Tucson after graduating with my Masters degree but that left me feeling nervous. But, when I returned to Brooklyn I realized that I really was focusing all of my energy looking for jobs in Arizona rather than NYC and eventually I found a job in Tucson. 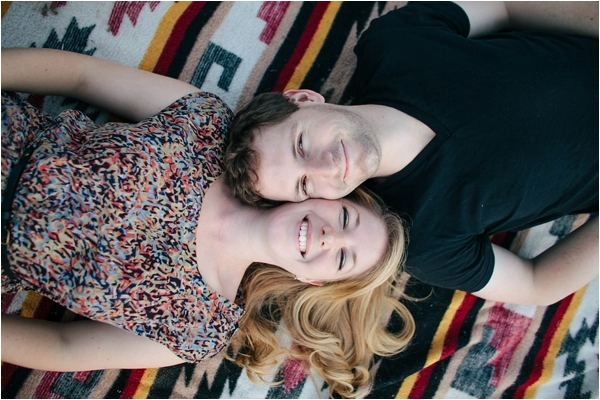 Six months after we met and after only FIFTEEN DAYS in person, I bought a one way ticket to Arizona. 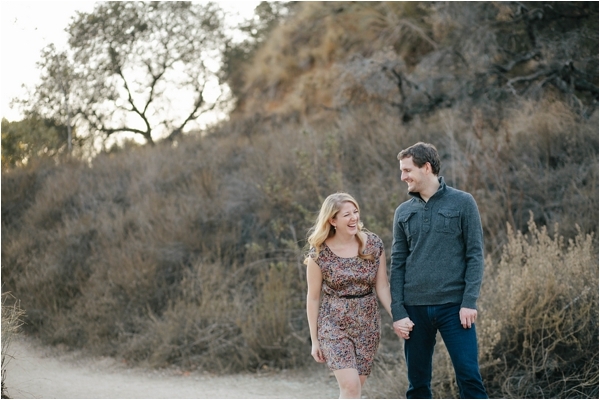 After two years we moved to Pasadena for his research and we've been here for over two and a half years. The proposal: Roman proposed to me on Cinco de Mayo of last year. We went to our favorite spot in Malibu, El Matador State Beach, and laid out our blanket in a private little alcove in the rocks. I wanted to change into my suit but he stopped me and started talking about our relationship and how he felt about me. He really had me convinced that an engagement was at least a year away and therefore I didn’t immediately realize what was happening. 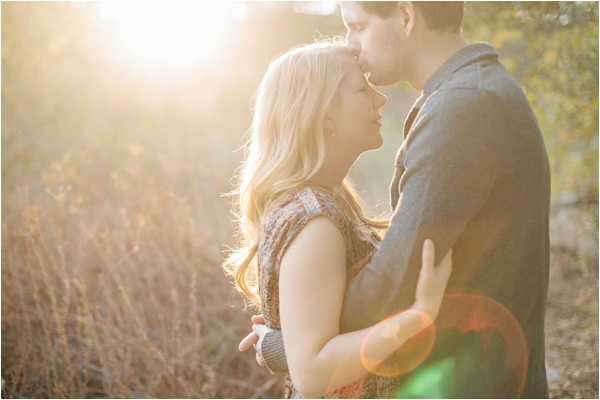 But, when he pulled out the ring and asked me to marry him I burst into tears. I was shocked! When he told me he’d called my parents for their blessing two days prior I really lost it. Roman had played it off as if the thought of buying a ring or doing a surprise proposal was too much to bear when in fact he had my ring custom made and had been planning everything for months.